We all are aware of the many uses of baking soda in cooking, and for the general maintenance of our homes. But, do you know that this ‘miracle powder’, as baking soda is lovingly called, can be of immense use in the garden as well? We guess you don’t! Hey…no problem, as today we are about to surprise you all with our collection of the 21 amazing baking soda uses in the garden. Do you know that this miracle powder can encourage blossoms to grow more magnificently? Yes, baking soda seems to have a magical impact on alkaline loving flowers like begonias, geraniums and hydrangeas. 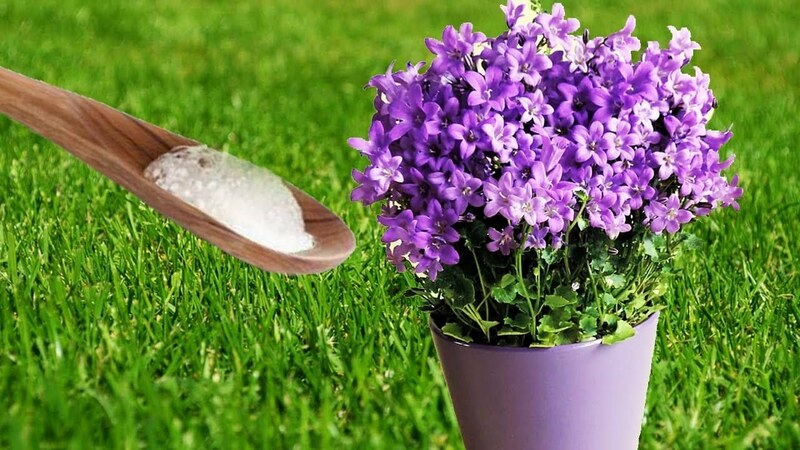 These flowers grow very well in alkaline soil, and if you wish to see them bloom wonderfully, you must dissolve a little of baking soda in water, approximately one tablespoon of it, and then feed this to these flowers. There are many uses of baking soda for garden pests, such as rats. Many a times, we often find ourselves struggling to get rid of rodents like rats that seem to have a damaging impact on our plants and crops. There is a simple way to tackle this problem of rats. 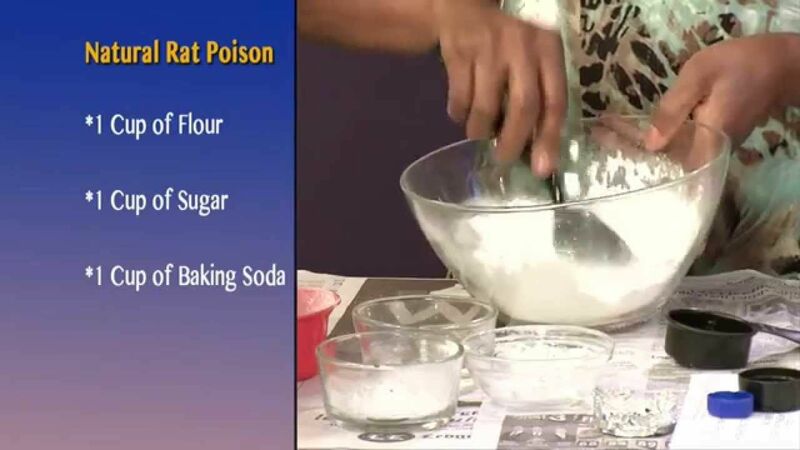 You can make your very own poison using baking soda that can kill these menacing rodents. For making this poison, you need to add a cup of baking soda to one cup each of chocolate mix or sugar and flour. Blend these ingredients in a mixture, and then place them at various points in your garden. It will attract these rodents and once its consumed, the rats are surely going to get eliminated. The plants kept indoors tend to gather dust and grime which lends a very untidy look to their foliage. The best way to clean your plants is to make a solution of baking soda and water, and then, using a clean cloth dipped in this solution, wipe the foliage of the plants. Just a pinch of baking soda will do the needful, and you will see the surface of your plants getting a shinier and cleaner look. There are plenty of uses of baking soda for plants that one can think of. One among these uses is that this miracle powder lends a sweet taste to tomatoes. If you shower a little of this powder to the base of your tomato plant, you will see that the tomatoes will taste much sweeter than they would otherwise. This is because baking soda, when absorbed in the soil, reduces the acidic level of the tomatoes and lends these sweeter taste. Now, you can always give your plants a rejuvenated glow by spraying a solution that has baking soda in it. What you must do is take about one teaspoon each of the soda and Epsom salt, 1/2 teaspoon of clear ammonia and then mix these in about one gallon of clean water. Mix the solution nicely, then, spray this all over the plants as a fertilizer. This will clear away the dullness and lend a new fresher look to your plants. They will appear greener and healthier. You can prevent mildew from setting on the leaves of your garden plants by making a solution comprising of 1 teaspoon of baking soda, couple of liquid soap drops and about 1 liter of water. Mix the solution well. Then, spray this on the plants that are affected with mildew. The baking soda in the solution will make the surface of the leaves less acidic and will also prevent any kind of fungal growth on them. You can prevent mildew formation on fruit trees as well as climbers and vines. Slugs are a common problem that every garden faces sometimes or the other. Now, there is no need for you to buy expensive sprays and chemicals to kill slugs. All you need to do is use a little bit of baking soda to eliminate these insects. Simply, sprinkle some baking soda right above the slugs and you will kill them easily. If doing this sounds harsh and inhuman, then, sprinkle baking soda in the soil around your plants. This will pose as a deterrent and will prevent slugs from damaging your plants. The multiple amazing baking soda uses in the garden will simply overwhelm anyone. Coming next in this list is the use of this magic powder to clean dirty hands. 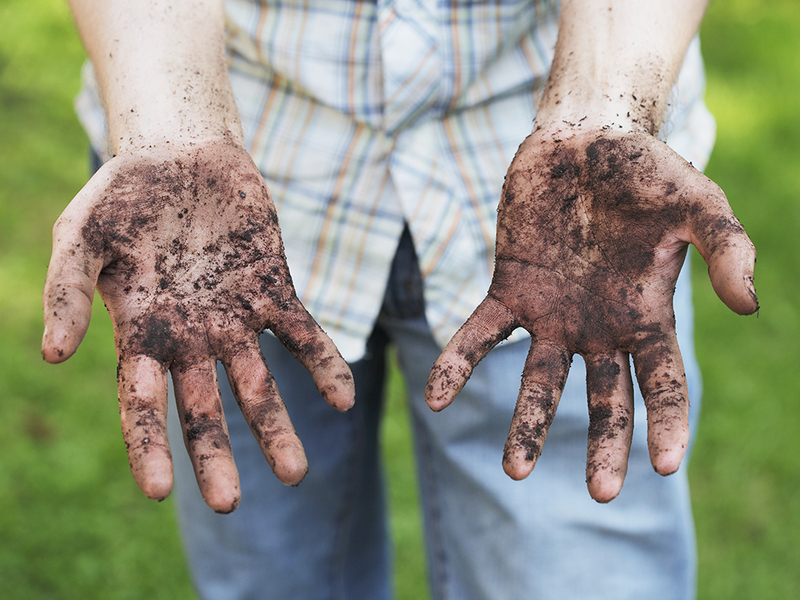 We all know that gardening is a dirty job where it is practically impossible to stay clean and tidy. If you have hands that have been rendered grimy and dusty, then do one thing – rush towards your kitchen and rub some baking soda on wet hands. Afterwards rinse and see clean and glowing hands instantly! Baking soda can be used to test if your soil in the garden is high in acidic content or not. The best way to test for the pH level of soil is to put some amount of soil in a container or a dish, then, pour about half a cup of water and some baking soda to it. Mix it. 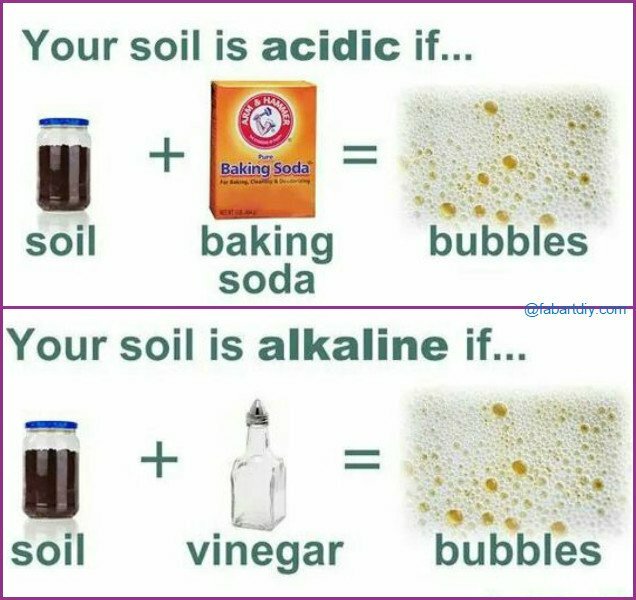 In case you see the soil bubbling, it means that your soil has a pH level below 7, an indication that it is acidic in nature. Gardening often leads to unpleasant things like insect bites. How do you tackle the pain caused by mosquitoes and other such insects? Well, now, you don’t need to apply medical ointments. All you need to do is make a paste comprising of baking soda and water, and then, apply the paste on the affected area. The paste will soothe the area as baking soda has the capability to neutralize pain. Rashes too can be treated with baking soda. In case your compost smells disgusting, then, there is an easy way to tackle the horrid smell. Use baking soda and sprinkle a generous quantity over the pile of compost. This will prevent the building of acidity in the compost and will prevent bad odor. However, please do not use too much of it as it will cause composting to slow down. 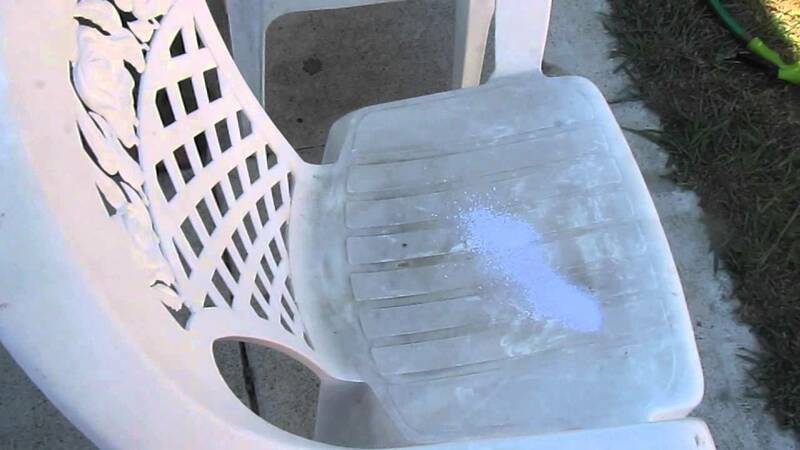 One among the many amazing uses of baking soda in the garden is to use it as a cleaning agent on garden furniture. Now, you can clean stains, dust and grime from your furniture by applying a solution comprising of 1/2 cup baking soda, one tablespoon of liquid dishwasher and a liter of water. Dip a sponge in this solution and then wipe off stains from any furniture like garden chair, table or stools. If there is any other pest that a gardener worries a lot about, then it has to be a cabbage worm. These worms can damage whole gardens, and therefore, must be culled at all costs. You can simply use baking soda to tackle this problem. Take baking soda and flour in equal measure and then dust plants with this mixture. You can apply this mixture on cabbage and kale. The worms while consuming these will eventually die from this baking soda mixture. You can use baking soda for controlling garden pests by preparing an organic pesticide comprising of this miracle powder. Insects and pests like spider mites and aphids wreck havoc on gardens, and hence, must be controlled and killed. The best way to treat this problem is to go organic. Mix 1 teaspoon of baking soda to 1/3 cup of mustard or olive oil. Mix well. Now, take out two teaspoons of this mixture and then pour it into 1 cup of water. Mix it again. Now, fill it in a spray bottle and spray it on the affected plants. Repeat this process often. Most gardens have walkways or paths that need to appear clean all the time. Otherwise, these may become an eye sore for all. In case you have a walkway that has an unclean surface, you can use baking soda to clean it. Take about two tablespoons of this powder per liter of warm water. Now, using a hard scrub brush and this solution, wash the surface. Do you like to keep freshly cut flowers in your vases? If so, now, you can extend the life of these fresh cut flowers by adding a teaspoon of baking soda to the water. Then, keep the cut flowers in this water for them to stay fresh and long lasting. Weed is a recurring problem in most gardens. But, now here is a natural and safe way to kill it. Sprinkle baking soda on the tufts of weeds. Doing this will burn the foliage and will prevent further growth. In case you have weeds growing from within crevices of your walkways, just sprinkle some baking soda. In this list of fantastic baking soda uses in the garden, we must mention about this miracle powder’s capability to clean garden pots and bird baths. 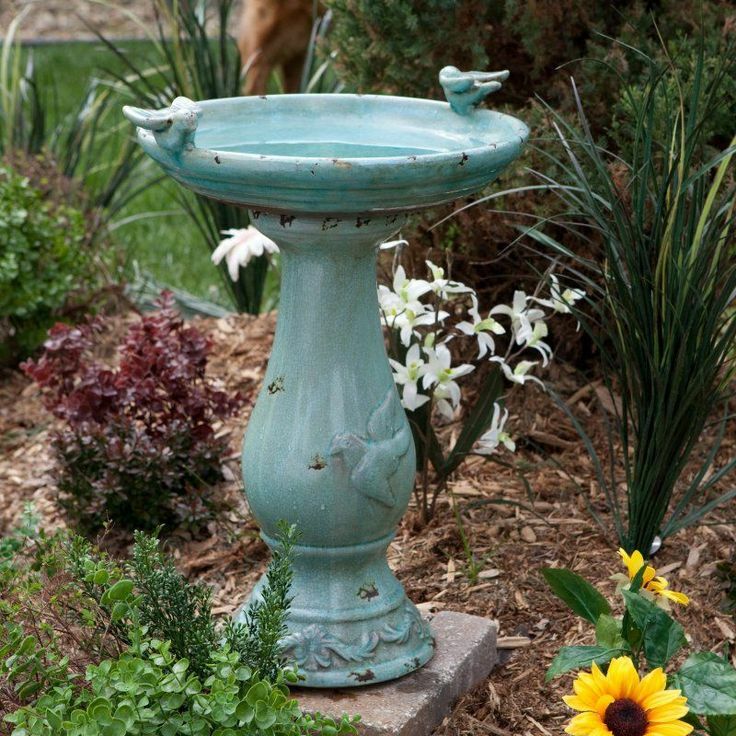 Many a times, after rains, the pots and bird baths in the gardens tend to become slimy and greasy. Instead of using chemical dishwashers or abrasive agents, try using the non toxic baking powder and scrubber to clean the surfaces. Once you are done, rinse the pots and baths with water. Wipe them dry. Baking soda can also be used to keep roses fresh and fragrant. It is a great tool to treat and prevent mildew and other kinds of pest infestation. Make a spray comprising of 7 tablespoons of baking soda, 5 liters of water and a little of any insecticidal soap. Spray a few times in a week. Here is another cool use of baking soda for plants that will sound interesting! 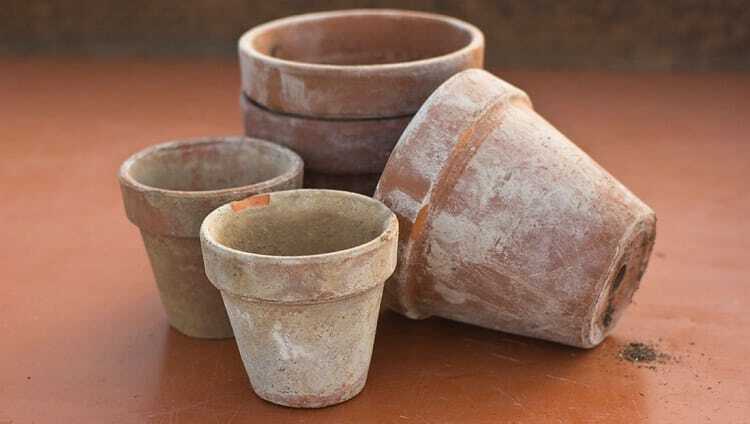 The soil in pots tend to become stale over a period of time. So, to prevent this, you must line the inside of the clay pot with a thin layer of baking soda. Afterwards, add the soil. This will help in keeping it fresher for a long time. Ants, whether small, big, red or black, are always pesky and worrisome for gardeners. Now, you can tackle this problem with the help of baking soda. If you locate an ant hill anywhere close to your garden, simply sprinkle a good amount of the powder on the hill when it is moist. Wait for half an hour after which you need to apply a little dose of vinegar to it. 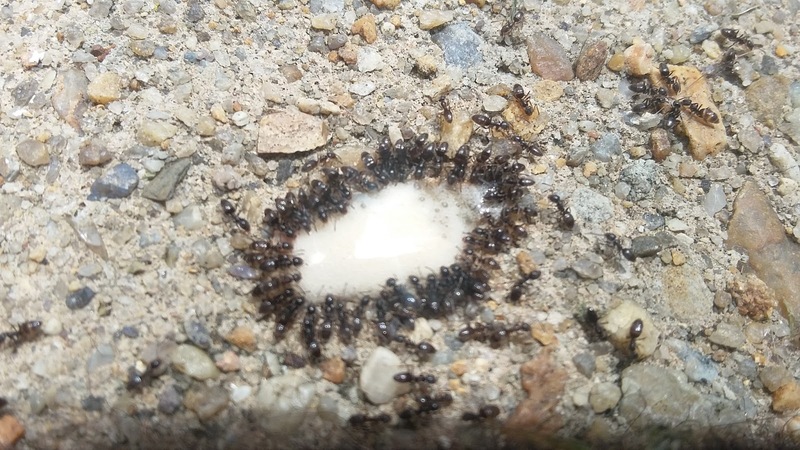 The ants will consume this and eventually die. After reading this article, we are sure that you will try to reduce your usage of harmful chemicals and pesticides for solving garden problems. And, instead, make use of the humble baking soda that is totally safe and Eco-friendly. Baking soda has many benefits in garden. 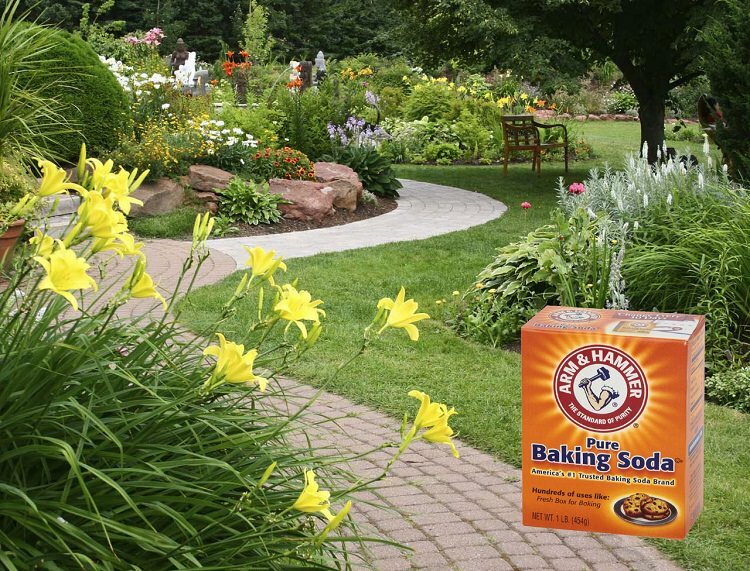 From treating fungal diseases on plants, to helping you get gorgeous and better blooms, to getting rid of stains from furniture, baking soda uses in the garden are countless. Be sure to try at least a few of these and ping back with your comments!